Natural hair looks breathtaking at any length. Whether you're newly transitioning or you just made the big chop, making your curls work for you is the most important thing. You could be on a mission to have the longest, healthiest natural hair you've ever had. We fully support that, too. You know that saying, patience is a virtue? Well, that's applicable to many areas of your life, including your hair growth process. Much like the idea of working out and yearning to see results on your body, growing out your natural hair fast requires consistent effort. It won't happen in the blink of an eye, but there are tried-and-true ways to speed up your strands' growth cycle. Celebrity hairstylist Kendall Dorsey, who has worked with everyone from Cardi B, Duckie Thot, Bella Hadid, Teyana Taylor, and more, shared with us exactly how to grow natural hair fast. He has a mind-body-spirit approach to sprouting your hair at max speed. "Avoid stress, skip the junk food, nix the excess heat and tight hairstyles, and whatever you do, don't skip your regular trims," he advises. Get ready to screenshot his foolproof guide to natural hair growth below. This might feel like you're adding insult to injury, but trust your hair will sprout in the long run. Dorsey stands by this claim. "I know cutting your hair seems like the last thing you want to do when you're trying to grow your hair out, but split ends eventually turn into fully broken strands," he explains. "This causes the dreaded 'I can't get my hair to grow past here' problem." When you are going for a look that you know your hot tool will deliver, it's so hard to put it down. I get it; I've been addicted to hot tools before, which resulted in extreme heat damage that took years to recover from. But in order to speed up your hair's growth process, it's incredibly crucial to dial down on your hot-tool usage and hide them if you need to (a trick of mine that works). "Go easy on the hot tools," Dorsey emphasizes. "I know that it's hard to just let your hair be, but excessive heat can and will cause damage and breakage. If possible, give yourself some days where you just air-dry." Alternatively, you can look for tools that can style your hair without excess heat, which Dorsey proves in the above photo using one of his favorites. "My favorite is the Dyson dryer," Dorsey says. "It has a super-powerful motor paired with a precise airflow and automatic built-in heat protection. Thanks to this combination, you'll not only be able to cut your drying time down; you'll also be cutting down on damage." 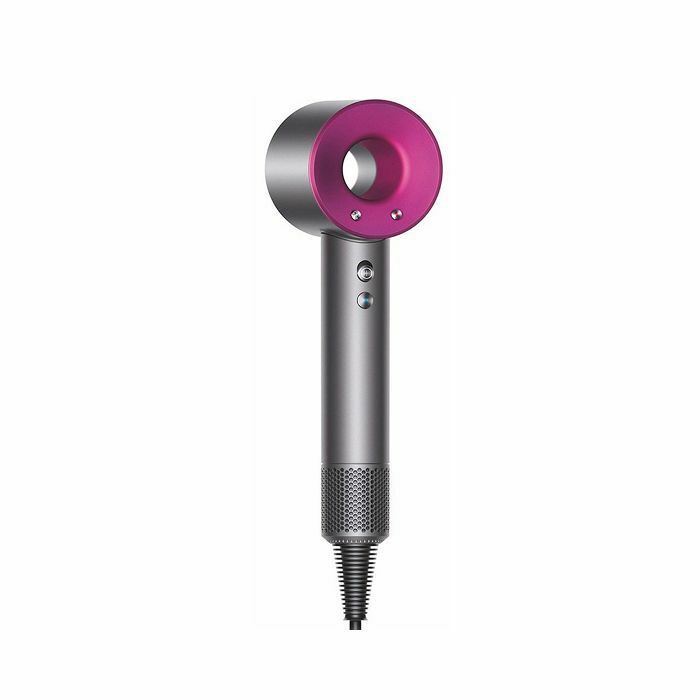 "I also like the new By Gina Excel Infrared Styler because it utilizes infrared technology to limit heat exposure, soothe the scalp, and work as an awesome follicle energizing treatment," Dorsey shares. Certain ingredients found in hair products can stifle your growth process. Dorsey recommends using shampoos and conditioners that are SLS-, SLES-, paraben-, and silicone-free. "These all add buildup on the hair by weighing it down and not allowing it to grow to its full potential," he explains. Instead, he recommends investing in the below shampoo and conditioner from Oribe. The truth is, healthy hair starts at the scalp. So scalp treatments need to become your strands' best friend. Dorsey prescribes the below scalp treatment to his clients, and they've all seen their hair grow at a significant speed after using this. "This scalp treatment works to fight the FGF5 protein, which causes hair loss," Dorsey explains. It creates a happy, healthy scalp and follicle environment, which really amps up hair growth." Your body is interconnected in so many ways. What you put inside your body affects things on the outside, including your hair. This is why Dorsey believes to really amp up your hair growth to its max capabilities, you have to first ensure you're taking care of yourself on the inside. "Serious stress, being sick, and extreme diets can all lead to hair loss," Dorsey warns. "I always like to promote overall wellness as a key to hair growth. Make sure you're working out not only to keep your body looking right but also to keep your mind right and your stress levels down. Exercise also boosts your metabolism, which speeds up hair growth." Food plays a major part in hair growth. Dorsey says to be sure and eat a balanced diet rich in omegas, iron, zinc, and vitamins, especially vitamins B and E.
"If you don't feel like you're getting enough via food, add a supplement or multivitamin into your daily routine," suggests Dorsey. "I like to also look for a supplement that includes biotin." Team Byrdie is 100% behind the biotin train as well. 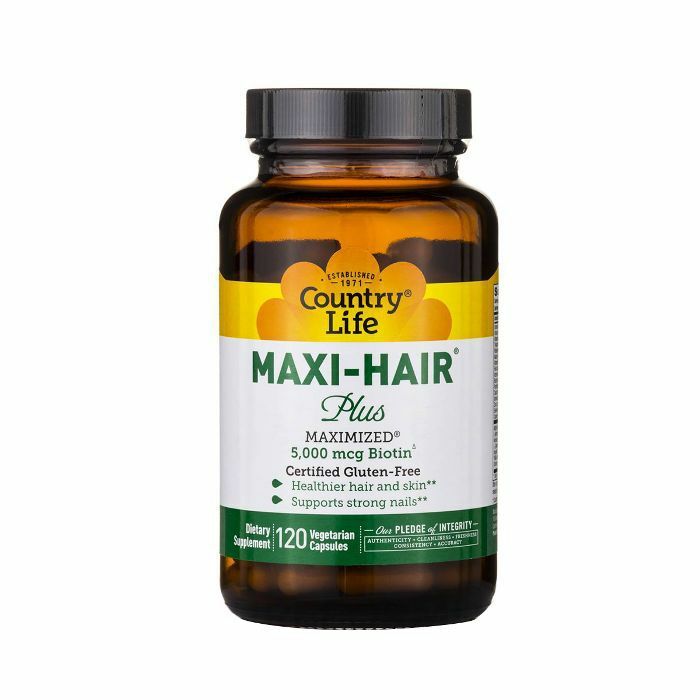 We go into detail here on why this works wonders for hair growth. Protective styles for natural hair require absolutely no heat and minimal upkeep. Usually, the go-to protective style for growing out your natural hair is braids. However, Dorsey explains how, if done incorrectly, those can cause more harm than good to your growth process. "Many times, all the tight pulling and manipulation causes excess stress on the scalp, which is a major no-no when trying to grow your hair out," Dorsey explains. Instead, he recommends a similar style pictured above. "I love a loose braid. 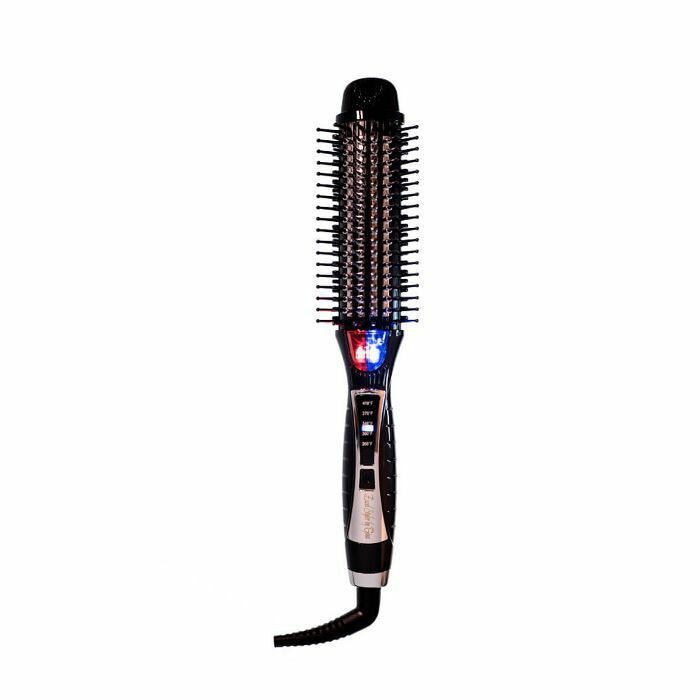 It protects a lot of the hair from environmental elements and doesn't pull too tightly. Or easy wash-and-gos or twists. Any one of these styles will help keep your hair in the best shape possible and encourage hair growth." According to Dorsey, the average hair growth cycle is about six or seven years. This gives you a lot of time to take care of the strands on your head before they fall out. "When you follow all of my tips for maximizing hair growth, you can expect, on average, about a quarter-inch of growth per month," Dorsey confirms. "Or possibly more if you incorporate vitamins, supplements, and a topical treatment like the Evolis Professional Promote Activator [shown above]." Next: Find out exactly what Byrdie's managing editor, Lindsey, did to make her hair grow at rapid speed in a month.